Orchids are, to me, an escape from artificiality into a sane world of order and balance. They give me a feeling of security and satisfy a primitive need for the assurance of unchanging fundamentals. In my greenhouse I find nevershifting fundamentals, I find the eternal laws of the universe in a most tangible form. Growing orchids makes me humble, for there, I am working with a force stronger than I. When I realize that flowers absorb color, perfume, beauty and form within a dimension beyond my understanding, my belief in God is strengthened. 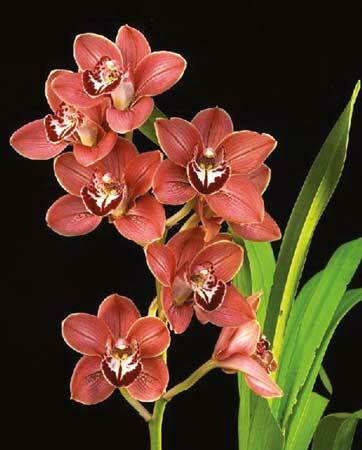 Orchid Culture satisfies my hunger for spiritual beauty and creation. If ideals seem futile, if friends disappoint me, if my heart is sad, or my mind in turmoil, if my eyes are dull, and my body sluggish, I can go into my greenhouse, among my orchids, and find faith, tranquility, comfort and physical exercise, all of which gives me a renewed feeling of well -being, confidence and inspiration.